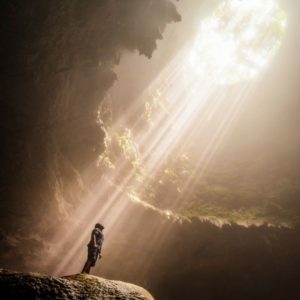 Once I had my Spiritually Transformative Experience (STE), it took time, but I became more aware of out-of-the-ordinary experiences as gifts. I was broken open. Suffering brought new understanding and taught me compassion for myself and others. I can feel the high energy that is brought in when I am in the flow of spiritual experiences. It brings joy. I had one such experience this week. I have been having a repeating dream for some time now. 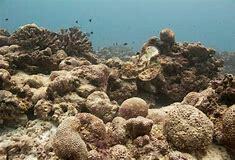 In the dream there would be beautiful, lively coral reefs…and then they would turn brown and turn into non-living stone fossils. As I was in that between state of awake and not yet totally awake this morning, I asked the question, “What does this mean?” An immediate answer came into my consciousness. Stay with the living, don’t stay with what has turned to ‘stone’ in your life. Live in the present! Then came the knowing of what this meant. I have boxes of things I have saved from my career in teaching young children, of classes I have taken, of groups I have led – products of my vibrant life at one time that are no longer needed. I am in a different season of my life. I have new passions to follow. I will create anew. 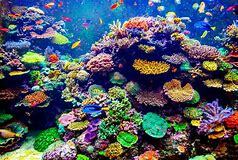 Create the new, like the sea continues to create beautiful reefs if they are not burdened by pollution. Change is difficult. Newton’s laws of motion apply to people as well as objects. His first law of motion states that an object remains in motion in a straight line unless acted upon by an external force. So how are we going to get going to change what needs to be changed? What is that external force that finally puts us into action? For me, this dream was another external force pushing me into understanding. Coincidences are interventions from the universe. A friend called me the same day of the dream. In the conversation she mentioned that she had been listening to Krista Tippett, host of On Being, interviewing Dr. James Doty, a neurosurgeon. I read his book Into the Magic Shop when it came out in 2016. It is the story of what changed his life trajectory when he was 12 years old and heading into delinquency. He grew up in a very poor, dysfunctional family, often hungry, very stressed. At 12 years old, James was the care taker of his family. He spent his days roaming the streets on his bike with no hope for a better future. But his interest in magic brought him to a shop where he met an ‘earth mother’ type lady named Ruth, who offered to teach him the real magic that could change his life. She was the ‘external force’ that sent him in a new directions. As I did my day’s work, I listened to James Doty on YouTube recorded lectures. 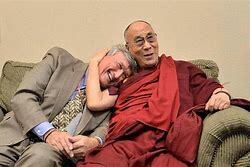 In addition to practicing medicine, he is doing research on compassion. He is so inspiring. 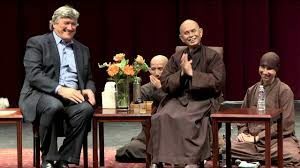 I am fascinated by his friendships with Thich Nhat Hanh and His Holiness the Dalai Lama. I pulled out his book Into the Magic Shop and I was reminded again of the richness of Dr. James Doty’s experience with Ruth in the summer of 1968. Six weeks, meeting with Ruth each day, changed his life. It can change our lives too. Here is a sketch of what she taught him. The dialogue in the book enriches these lessons. Consider reading the book. Lesson #1 Relax every muscle in your body. Imagine you are a leaf blowing in the wind. Take deep breaths in and out. Start relaxing your toes, feet and move up the body to the head and scalp. Focus on you heart. Feel your heart beat. Practice numerous times in the day until you can feel a calmness over coming you. Lesson #2 Empty your mind. Calm the voices in your head. It takes time and effort. Don’t be discouraged. Stare at a candle flame. Use a mantra, a song, a sound. Choose a word, any word or phrase. Stretch out the sounds in the word, focus on the sound as you repeat it over and over in your head. Continue to breath in and out. Repetition and intention helps focus the mind. Lesson #3 Open your heart. Start with #1 and #2. Say nice things to yourself. Write down the 10 things to say. I am worthy, I am loved. 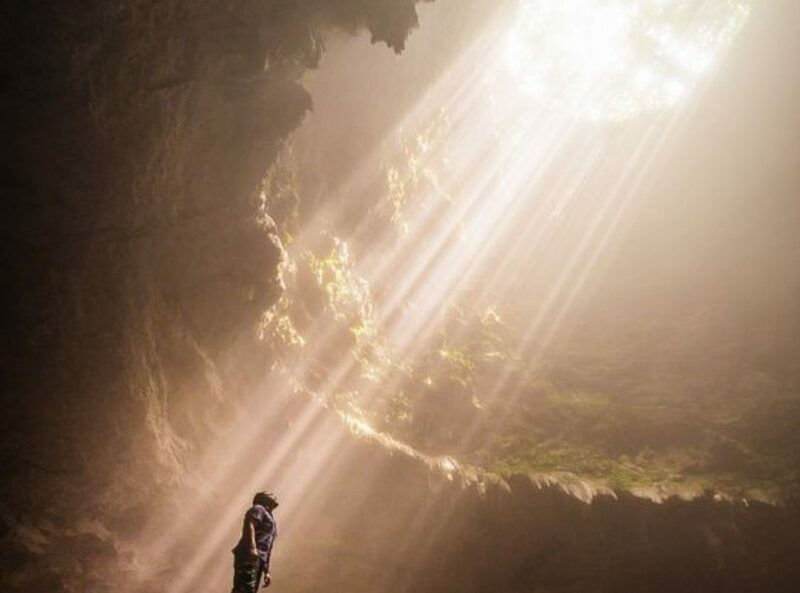 I am cared for, I care for others, I choose only good for myself, I choose only good things for others, I love myself, I love others, I open my heart, my heart is open. Next, think of someone that gives you unconditional love. Feel the warmth and contentment. Extend unconditional love to someone you care for. Now think of someone whom you have a difficult relationship with – see them as yourself – we are all flawed and imperfect with mistakes and struggles. Understand that often one’s behavior reflects their pain. Lesson #4 Clarifying your intention. Sit in a quiet room. Start with #1 and #2. Think of your goal or wish. See yourself accomplishing your goal. Feel the emotions of the goal or wish accomplished. Add details to the vision. It is with clarity of intent that vision becomes reality. 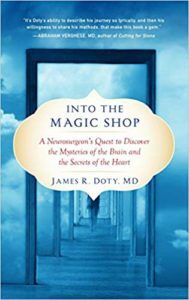 I hope you will find James Doty’s guidance helpful. May the “real magic” he speaks of help you make needed changes, that brings new life into your days. “Ruth was helping me form neural connections in my brain – neuroplasticity… With only an intuitive sense of the effect of what she was teaching me … she was making me more focused and attentive, calmer… She changed how I perceived myself and how I perceived the world. ← BEAUTY in a NEW YEAR! Yes a message to act on! You have often referenced looking for messages. Beautiful.